Above: Rune stone necklace with crystal, inspired in the forest by Nilenia Arts, one of my personal favourites. Nilsun Yencilek aka "Nilenia" is indeed a Woodland spirit herself, or a cute pixie, or maybe a fairy, but for sure some kind of magical creature. 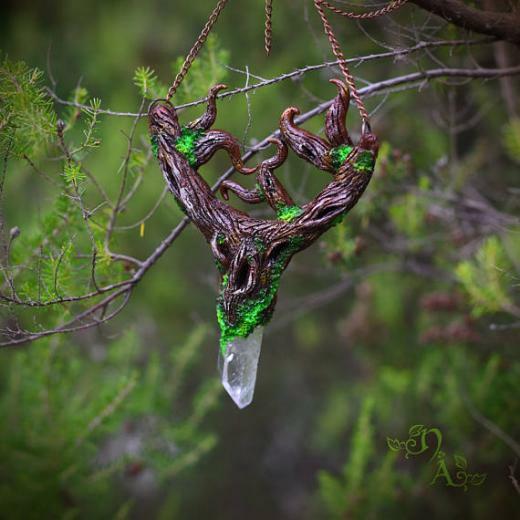 Firey haired Nilenia also has a superb taste for faerie fashion herself as she shows on her various personal accounts, but she also embarked in the creation of her own crafts and accessories, and that was the origin of her store NILENIA ARTS on etsy. The shop is based in Turkey yet ships worldwide. 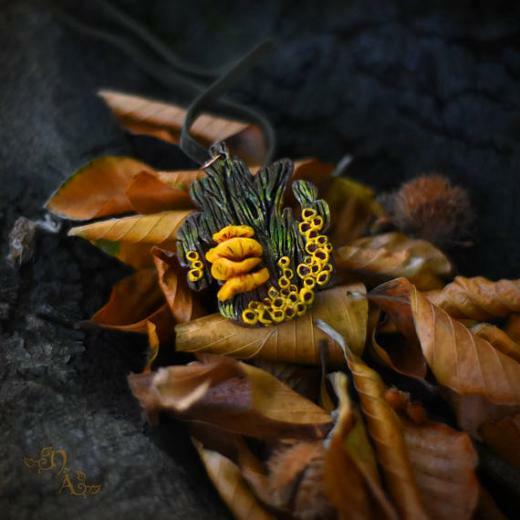 Nilenia Arts includes a collection of pieces that somehow reflects Nilenia´s taste for mossy greens, and lichenous yellow and atumnal oranges. Animal totems, leaves, ferns... a hadmade collection with a "nature lover/ fantasy lover" flair into it.